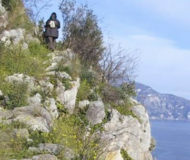 Excursions in Sorrento and Amalfi Coast. Participating in the walk of the 23 rural homes, however, does not only consist in a simple walk. It means coming in contact with nature, experiencing the most characteristic places of the Massa Lubrense territory, discovering the forests, chestnut woods, springs and ancient paths that originate back to hundreds of years ago. Description: Participating in the walk of the 23 rural homes, however, does not only consist in a simple walk. It means coming in contact with nature, experiencing the most characteristic places of the Massa Lubrense territory, discovering the forests, chestnut woods, springs and ancient paths that originate back to hundreds of years ago.